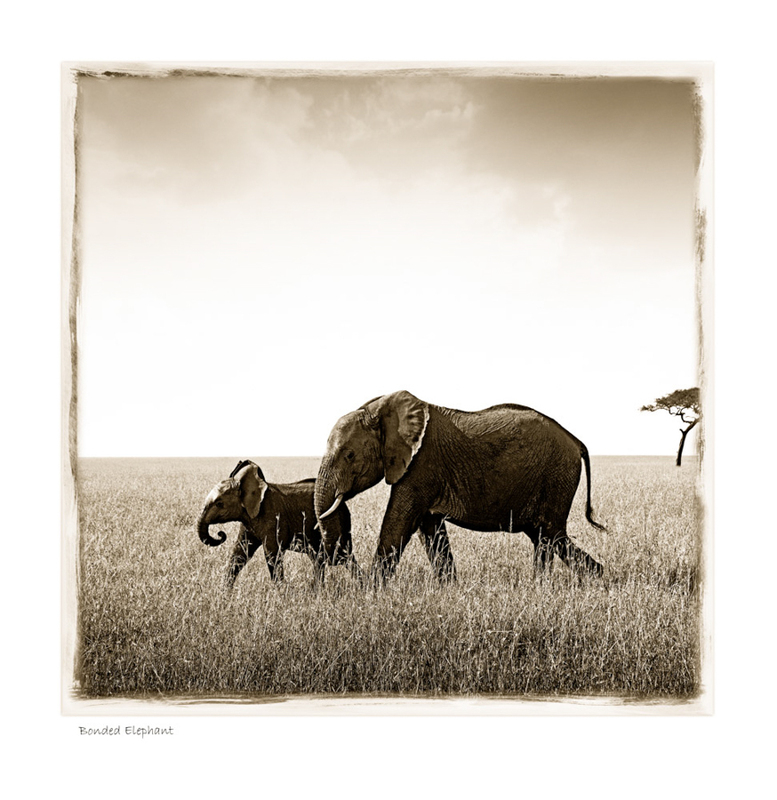 Photographic fine art print of and elephant mother with her calf. 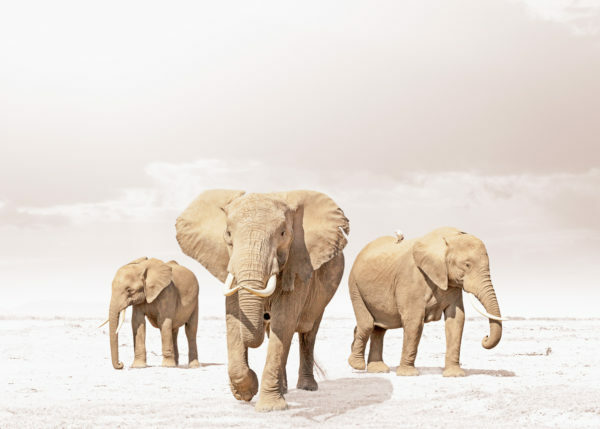 Wildlife image in sepia colour tone – the classic African style that doesn’t come out of fashion. Bring some Africa feeling into your own home or give as a gift. 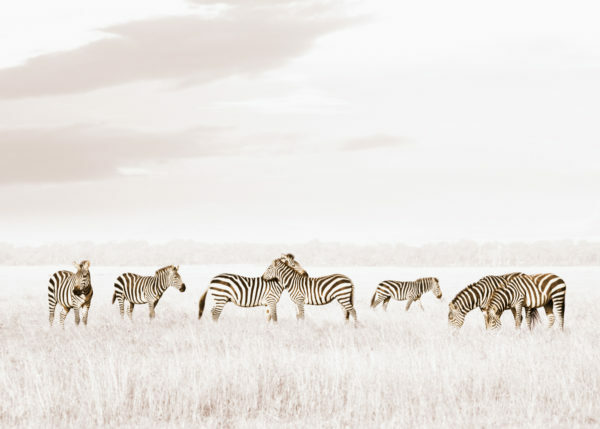 This wildlife print is a perfect memory of an African safari or for any animal lover! Available as an open edition print, it makes an affordable piece of art. Shipping charges may apply for special requests such as express service and shipping of framed/mounted artworks. Kindly note, that although we will mark the artwork as an original piece of art, you might still be liable for customs payments for your country if applicable. As our standard we are using Giclee printing method on high quality archival fine art paper e.g. Epson Cold Press paper. If you are interested in other options like print on Canvas or as a Diasec please contact us for a quote. 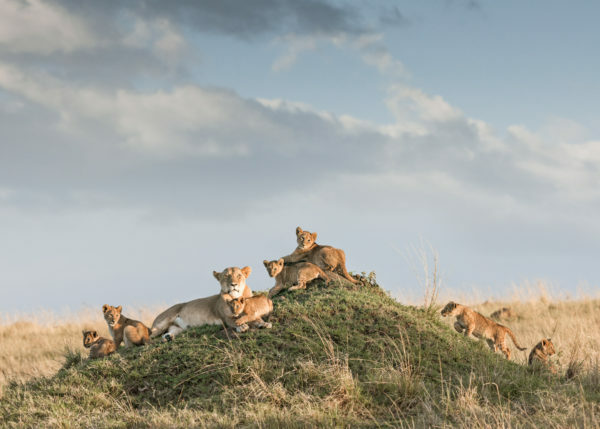 This image is available as an open edition print in different sizes. If you prefer a different size than the one displayed, kindly sent us your request by email. The edition is open and therefore not limited on how many prints will be made available. All artworks are personally approved and signed by the artist, Klaus Tiedge.